www.globalunderground.co.uk is a site operated by Global Underground Limited. We are registered in England and Wales under company number 04654041. Our registered office is at 4th Floor, British India House, 15 Carliol Square, Newcastle upon Tyne, NE1 6UF. Our VAT number is 214 1382 47. All rights, including copyright, in the content of the Site are owned or controlled for these purposes by Global Underground Limited. Save as expressly outlined herein, you are not permitted to copy, broadcast, download, store (in any medium), transmit, show or play in public, adapt or change in any way the content of the Site for any other purpose whatsoever without the prior written permission of Global Underground Limited in each and every instance. Material may not be copied, reproduced, republished, downloaded, posted, broadcast or transmitted in any way except for your own personal non-commercial home use and provided further that you neither change nor delete any author, attribution, trade-mark, legend or copyright notice. When you download materials, you do not obtain any ownership rights to any of the intellectual property in those or any other materials. Any other use requires the prior written permission of Global Underground Limited. you agree not to adapt, alter or create a derivative work from any of the material contained in the Site or use it for any other purpose other than for your personal non-commercial use. You may not modify, copy, publish, display, transmit, adapt or in any way exploit (whether for commercial gain or otherwise) any content from the Site without our prior written consent and without the prior written consent of all other entities with an interest in the relevant intellectual property. The Site and the information, names, images, pictures, logos and icons regarding or relating to Global Underground Limited, its products and services (or to third party products and services) are provided “AS IS” and on an “IS AVAILABLE” basis without any representation or endorsement made and without any guarantee and/or warranty of any kind whether express or implied, including but not limited to the implied warranties of satisfactory quality, fitness for a particular purpose, non-infringement, compatibility, security and accuracy. Whilst Global Underground Limited takes reasonable steps to ensure the quality of content and information made available on the Site in general terms (other than content and information provided by the users of the Site) neither its officers, employees, contractors or content providers assume any responsibility for the accuracy, correctness, relevance, completeness or currency of the information or other content on the Site. To the full extent allowed by applicable law, you agree that we will not be liable to you/or any third party for any consequential or incidental damages (including but not limited to loss of revenue, loss of profits, loss of anticipated savings, wasted expenditure, loss of privacy and loss of data) or any other indirect, special or punitive damages whatsoever that arise out of or are related to the Site. Global Underground Limited does not warrant that the functions contained in the material contained in the Site will be uninterrupted or error free, that defects will be corrected, or that the Site or the server that makes it available are free of viruses, bugs or other harmful components or represents the full functionality, accuracy, reliability of the materials. you should take appropriate precautions to ensure that any content that you download is free of such viruses, bugs and other harmful content. The names, images and logos identifying Global Underground Limited or third parties and their products and services are proprietary marks of Global Underground Limited and/or third parties. All rights reserved. Nothing contained herein shall be construed as conferring by implication, estoppel or otherwise any licence or right under any trade mark or patent of Global Underground Limited or any other third party. You acknowledge that we own and/or control trade marks on the Site and you may not use any of them without our prior written permission. We assume no responsibility whatsoever for websites that the Site either hyperlinks to or otherwise refers to. In particular, we do not assume any responsibility for any information or content on such sites (including but not limited to any views, advice, opinions, advertising or recommendations). Nor do we assume any responsibility in connection with any product or service such sites may offer. Under no circumstances will Global Underground Limited, its officers, employees, contractors or content providers be liable, directly or indirectly, for any loss or damage resulting from you accessing or using, or otherwise in connection with, any website either hyperlinked to or otherwise referred to on the Site. Links do not imply that Global Underground Limited endorses, is affiliated or associated with any linked site or is legally authorised to use any trade mark, trade name, logo or copyright symbol displayed in or accessible through the links or that any linked site is authorised to use any trademark, trade name, logo or copyright symbol of Global Underground Limited or any of its affiliates or subsidiaries. We control and operate the Site from our offices in the United Kingdom. We do not represent that the content or other information provided on the Site (including any advertising, promotion or any service) are appropriate, relevant or available for use outside the United Kingdom. If you choose to access the Site from locations outside the United Kingdom, you so do on your own initiative and are responsible for compliance with local laws. waive all so-called moral rights (or other similar rights) in relation to your contributions. You acknowledge that by posting, uploading or sending any materials to us you thereby grant us and our licensors and assigns an irrevocable, unconditional, perpetual, royalty free, worldwide licence to use such material(s) or any part of it both within the Site and in any other manner which we may determine in or sole discretion. The licence extends to copying, distributing, broadcasting, and otherwise transmitting, and adapting and editing the materials. 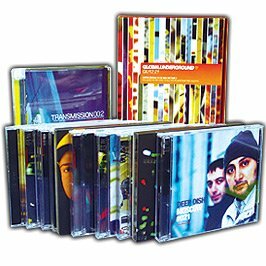 This section (together with the documents referred to on it) sets out the terms and conditions on which the products available www.globalunderground.co.uk (the Site) are supplied. These prices are inclusive of VAT but exclude delivery costs (if applicable) which will be added to the total amount. Delivery costs are added to your order when you review your basket and are re-calculated based on any new information you enter during the checkout process. Payment can be made by the following credit and debit cards: Visa, Visa Delta, Visa Electron, Mastercard, Maestro and Solo and Paypal. At the moment, we cannot accept payments in cash, cheques or gift vouchers via our Site. When you submit your order, you are confirming that your payment details are valid and correct. All stated delivery times assume delivery to the UK Mainland (which includes Anglesey and the Isle of Wight). Deliveries to British Forces Post Office address, Northern Ireland, the Scottish Highlands & Islands, Isle of Man, Isles of Scilly and the Channel Islands will take longer. Once your order has been shipped, you will be emailed a dispatch confirmation. If an item fails to arrive at its destination, please allow 30 days before contacting us. As per Royal Mail’s terms, an item is not classed as lost until 30 working days from dispatch. Naturally, we hope you’ll be delighted with the products you purchase from us. If for any reason you want to return anything, you can, within 30 days from the day that you receive the products. We cannot be responsible for any goods that we do not receive, so we suggest that you send any returns back to us using some form of guaranteed delivery that requires a signature. – CDs and DVDs must be in perfect condition, including the seal on the packaging. Ownership of the products will only pass to you when we receive full payment of all sums due in respect of the products (including the delivery charge). Please note that colours of products which are displayed on the Site will depend on the monitor you use, so it is impossible to guarantee that the product you receive will be an exact colour match of the product you order from our Site. Where you buy any product from a third party seller accessed via a link from our site, the seller’s individual liability will be set out in the seller’s terms and conditions. The whole agreement between us and you is contained within these terms and conditions and the other notices on our Site. No other agreements will form part of the contract between us and you unless agreed in writing and signed by an authorised Global Underground Limited signatory. Contracts for the purchase of products through our Site are governed by English law. Any dispute arising from, or related to, such contracts shall be subject to the exclusive jurisdiction of the courts of England and Wales. This competition is run by Global Underground. The competition is not open to anyone associated with Global Underground Limited or any associated companies.